The Frankfort Township Food Pantry is located on the Northeast lower level of the building. The hours of operation are from 8:30 am - 3:30 pm. 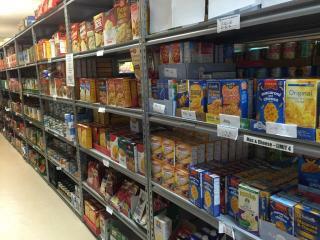 The pantry is available to Frankfort Township residents and operates by appointment only. Please call 815-469-4907 x 2761 to schedule an appointment or for any additional information. Comcast is introducing Internet Essentials. Fast, affordable home Internet service for just $9.95 a month plus tax. If your child receives free school lunches, you may qualify. Click here for more information. "When we share from our hand,it is replaced with food for our soul."